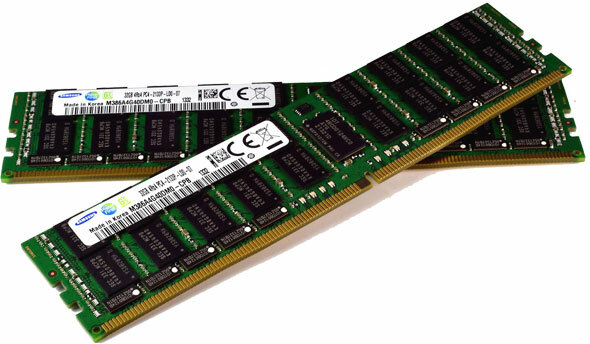 Samsung Starts Mass Producing Advanced DDR4 Memory for Servers and Data Centers. Samsung Electronics Co., Ltd., the world leader in advanced memory technology, today announced that it is mass producing the most advanced DDR4 memory, for enterprise servers in next-generation data centers. Built on 20nm-class process technology, Samsung’s 16GB and 32GB DDR4 memory modules will find homes in enterprise servers and next-generation, large-scale data centers. Mass production of Samsung’s 20nm-class 4GB DDR4 comes five years after the introduction of 50nm-class 2GB DDR3. It has the fastest DRAM data transmission rate of 2,667 megabits per second, which is 1.25x faster compared to 20nm-class DDR3. The DDR4 part also consumes 30 percent less power than DDR3, Samsung says.